My guest this week says she would like to be able to play the piano to concert standard, but since she can’t, she uses words as her instrument of enthrallment. Pianos are central to the plot of her latest novel, a historical romance in which four nouveau riche fathers attempt to marry off their daughters by displaying their talents in a music recital. Mayhem ensues, con brio. She says her musical ear guides her writing; Bach helps her to listen to the cadence of words and Purcell reminds her, in the most emotional way, that writing is all about remembering. (Are you guessing that Dido’s Lament might be coming up?) 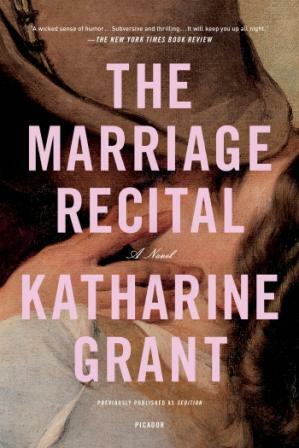 She is Royal Literary Fund Fellow Katharine Grant and she’ll be here on Wednesday with her Undercover Soundtrack.